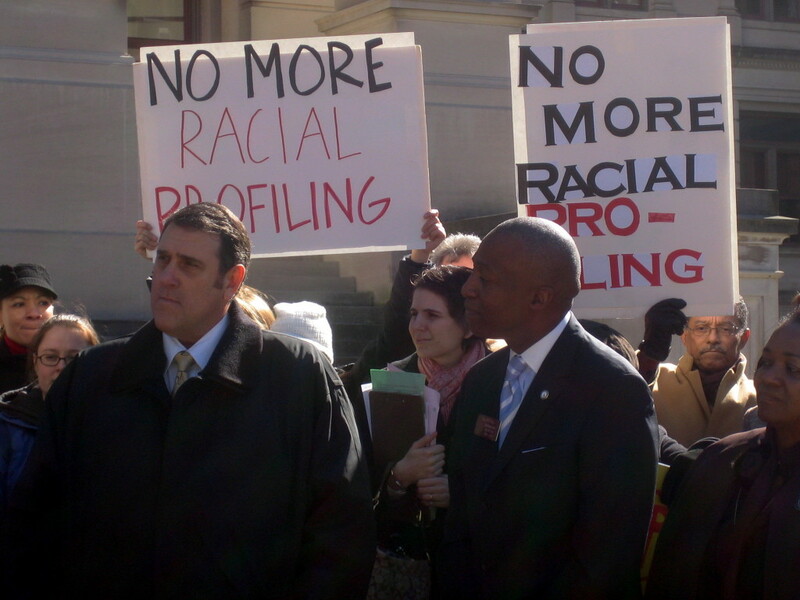 (APN) ATLANTA — A group of Democratic State lawmakers and advocates banded together Tuesday, January 26, 2010, to announce the introduction of legislation to prevent law enforcement officers from engaging in racial profiling. “We know that if your skin color is different or you’re a religion other than Christian, you will be singled out,” the Rev. Tracy Blagec, Vice President of Communications for Atlantans Building Leadership for Empowerment (ABLE), said during a rally at the State Capitol. The bills, which will be identical in the State House and Senate, would prevent all law enforcement agencies from profiling and require annual training. Also, the bills would require officers to track the race, ethnicity, gender, and age of every person subject to a routine traffic stop and require the Attorney General to publish annual public reports and establish procedures to investigate complaints. “This legislation would give law enforcement agencies and policymakers all the tools they need to address racial profiling in this state,” State Sen. Gloria Butler (D-Stone Mountain), chief sponsor of the Senate version, said. A 2004 report from Amnesty International USA found approximately 32 million Americans had experienced racial profiling and 87 million are considered to be at “a high risk” of experiencing profiling at some point in the future. “People of color are more likely to be stopped and searched by police even though they are less likely to have contraband,” Butler said. Accounting for the number of racial profiling incidents is often difficult and expensive, but Butler said Tuesday establishing data collection methods as outlined in the proposed legislation would not add costs to the state budget. “The data collection methods that are already used can be modified to include and track racial profiling data,” she said. 25 US states already have some type of racial profiling legislation in place, including several in the US South, according to a 2009 ACLU report. 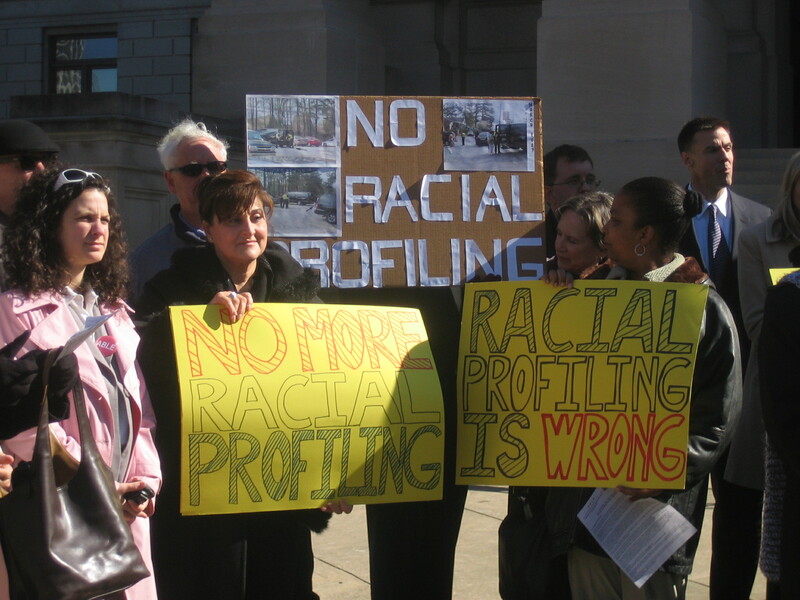 “States with racial profiling-related legislation include Arkansas, California, Colorado, Connecticut, Florida, Illinois, Kansas, Kentucky, Louisiana, Maryland, Massachusetts, Minnesota, Missouri, Montana, Nebraska, Nevada, New Jersey, New Mexico, Oklahoma, Rhode Island, Tennessee, Texas, Utah, Washington and West Virginia,” the report says. “The most common provisions in state racial profiling legislation are vague calls for law enforcement and other state agencies to establish policies prohibiting or combating racial profiling. Twenty-one of the twenty-five states that have enacted legislation have included such provision, although Tennessees statute only ‘strongly encourages’ law enforcement agencies to establish such a policy by 2010,” the report states. “Another twelve states have written express prohibitions of racial profiling into their state codes, even though the practice is clearly already prohibited by the U.S. Constitution,” the report states. The Georgia General Assembly has considered similar bills over the previous decade, but they have all hit roadblocks during various points of the legislative process. Marin’s 2004 bill received plenty of bipartisan support, picking up 117 votes in the House before dying in a conference committee. Butler said Tuesday she is optimistic about success in 2010 because more groups are involved in the issue. As previously reported in detail by Atlanta Progressive News, the American Civil Liberties Union (ACLU) of Georgia and ABLE held two forums in Gwinnett County and another in Cobb last year that allowed many citizens to come forward and share racial profiling horror stories. Azadeh Shahshahani, Director of the ACLU of Georgia’s National Security/Immigrants’ Rights Project, said the forums allowed the two groups to collect key data that did not previously exist and that could supplement proponents’ arguments as the debate moves forward.